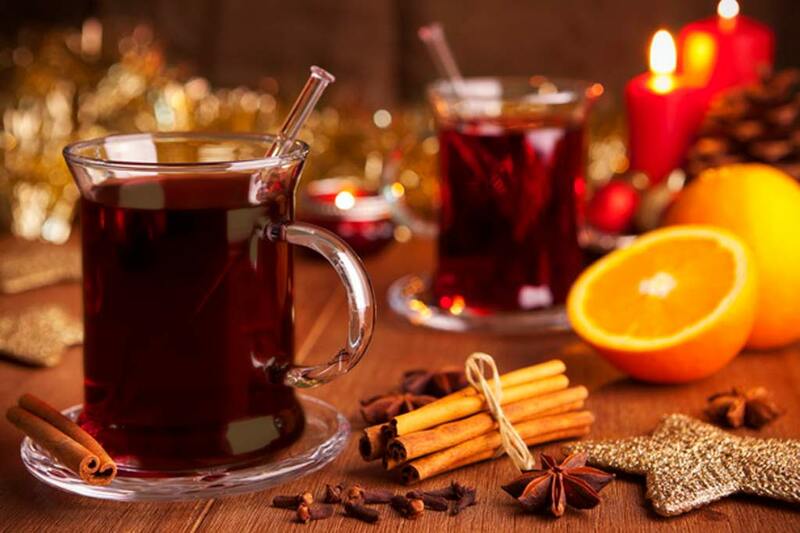 Christmas wouldn’t be Christmas without a drop of mulled wine, though what might not be as familiar to some of our readers is this original Ibicenco hot toddy, Café Caleta. Hands up straight off – the photo is not of Café Caleta. Such is the rarity of this beverage that for the first time ever none of our usual photo resources could come up with an image. In hindsight I should have used it as an excuse to go make some. Well perhaps at some point in the next week or two this paragraph will be replaced by one proudly claiming ownership of the photo as my own best work in the cause of photojournalist realism. So the story goes, this particular Ibicenco tipple was the invention of two fishermen who worked from Sa Caleta, one of Ibiza’s many small coves on the South coast, in the 1950s. The two fishermen, Pep Pujolet and Pep Es Boix, had been on their national service in A Coruña, a seaport in Galicia. The Gallego people have a similar drink called Queimada, ‘the fire drink’, and clearly having spent their time in the military productively, they created their own drink inspired by that most Gallego original. It was not long before the fishermen of Ibiza were all ending a meal with a pep from the two Peps, and the rest, as they say, is history. Brewing up a batch of Café Caleta does involve a bit of fannying around*, which may explain why it is not more widely known or served locally – because taking it by its taste alone, it would be Café Caleta and not Hierbas, for which Ibiza is best known. As with all such things, talk to a dozen locals and you’ll hear a dozen different ways it should be made, all presented with equal conviction as being the right way. In reality, nobody knows, so as with mulled wine, just adapt and adjust to suit your own taste and what you have available. If you want to make it the traditional way, there is little argument it should be in an earthenware pot on an open fire, but as that may leave soot marks on your kitchen ceiling, any old hob will do. Bring the water to a boil, take off the heat and add the coffee. Leave it to cool for quarter of an hour. While the coffee is cooling, place the brandy, rum, sugar, orange and lemon peel, cinnamon stick and coffee beans into a pan. Bring to a boil and dissolve the sugar – you are aiming to caramelise the sugar at this stage, so all those years watching bake off may finally pay dividends. But don’t stress too much, just simmer for 3 minutes aiming for a goo. Then comes the ceremony. The next part would normally be done at the table when the alcohol caramel/goo is set alight and left to burn for a minute. One the flame is out you then slowly mix with the coffee, stir gently and serve. *The amount of fannying around may be optional. We had it made for us by an Ibicenco born and bred policemen a while ago. He made the entire thing in one pot with none of the separate caramelising, and just tangerine rinds as that is all we had available. Some may consider this sacrilege, but it still tasted mighty fine, and anyway, always best not to argue with a drunk man wearing a gun. Plus we had none of the alcohol burnt off – which for some people will seem something of a counter intuitive load of nonsense. The Diario printed this list of venues serving Café Caleta.